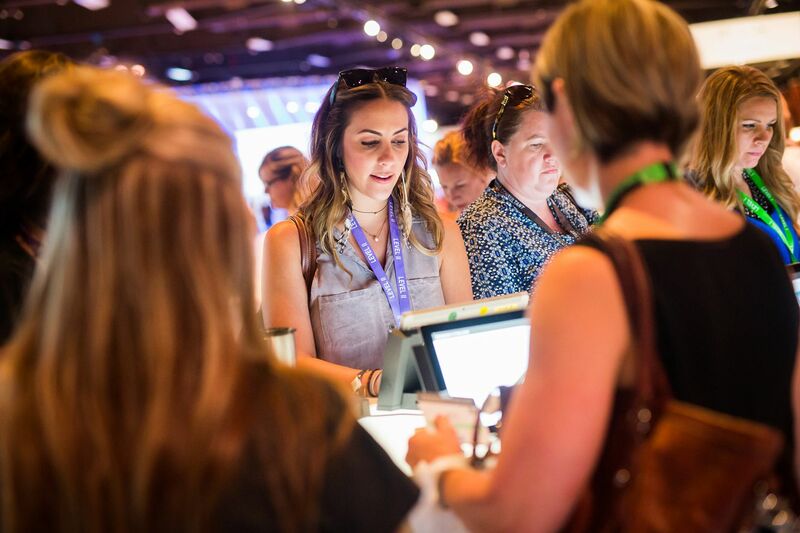 Once just an opportunity to network or get some facetime with existing and potential customers, business-to-business (B2B) events are now an opportunity for companies to gather a wealth of data on attendees—data that can later drive other marketing actions. Kurt Miller, senior vice president of strategy and planning at George P. Johnson, an agency that specializes in events, spoke with eMarketer’s Maria Minsker about how B2B events are evolving into treasure troves of data thanks to new technologies. Kurt Miller: There are different ways of looking at it. Thought leadership can come in the form of content in pre-event communications, for example. Thought leadership also takes center stage during the event through presentations and demonstrations, or subject matter experts speaking face-to-face with people. Increasingly, companies are now also repurposing event content and giving it a longer shelf life. Miller: Retail technologies such as beacons and artificially intelligent chatbots are proliferating at B2B events now. Technology that’s emerging in retail or in the hotel and airline industries is now being widely used at B2B events because it’s available and reliable. And people have grown so accustomed to these technologies as consumers that they expect them as businesspeople. B2B marketers are also getting wiser about how to replicate these technologies, modularize them and scale them. Miller: Typically at events [in the past], attendees walked into a big room, watched presentations and left. Then social media changed the game, and people started live-tweeting sessions. Now it’s becoming even more sophisticated, and marketers are incorporating secondscreen experiences. For example, they might take a poll to ask whether or not a session is valuable, or offer something related to the ongoing session. Miller: Thanks to the growth of audience tracking across social, mobile and other digital channels, companies have usable data after events. For example, badges now are largely digital, so marketers can gather the same kind of information that they would in an online relationship and use that data toward email marketing or other digital efforts. Marketers can even measure dwell time at sessions, and follow up with access to a piece of related digital content. Miller: Definitely. While in the past data from events had to be manually batched into a spreadsheet and exported, there’s now more automation that takes place to connect an event to a CRM system. Plus, marketers can individualize data and look at how attendees move from touchpoint to touchpoint across both offline and online experiences.